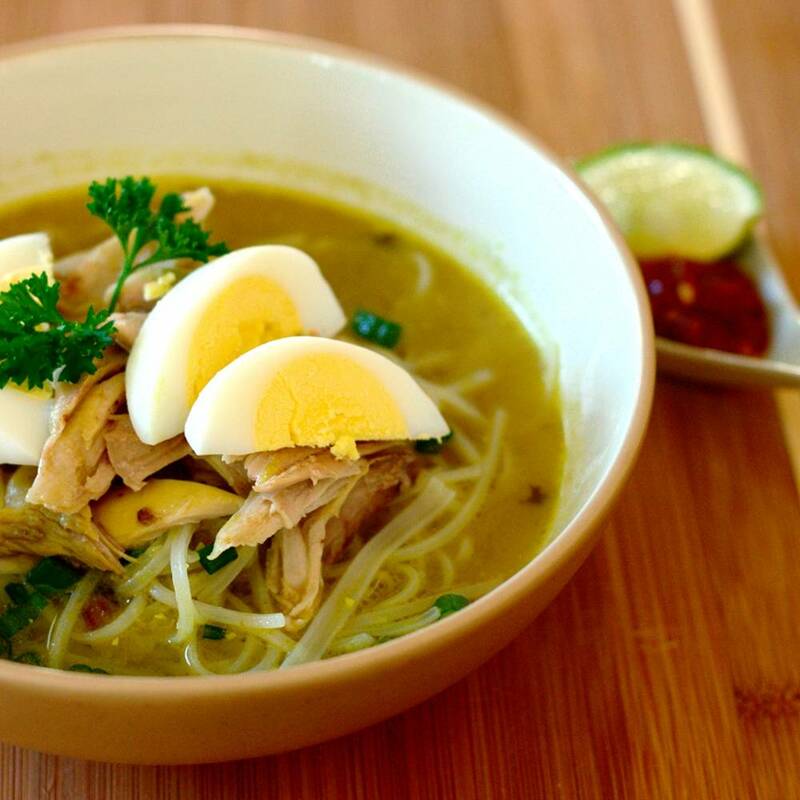 In Indonesia, a soup is a main course, there are some various of soup we have, easpecially in eastjava province, there is a soup called ( Soto ), the ingridients it could be slices of chicken or bwef and some spices which are make the colour of the soup it self become yellow. It’s served with rice, and traditional spicy sauce ( sambal ). It’s would be nice for breakfast and dinner. It’s so tasty, you wanna try it, ….. Let’s visit Surabaya, eastjava. Lontong ( steamed rice which is wrapped in banana leave ) and little mussels ( kupang ) bean sprout, petis ( homemade black shrimp sauce ). Ussually it would be tasty for brunch time. 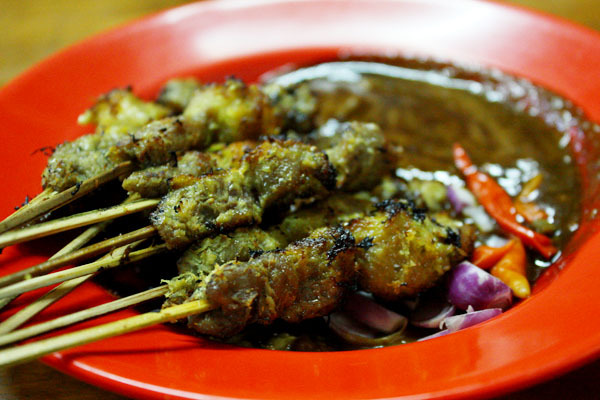 Satay is one of popular dish from Indoneisia, originally from Java. Satay may consist of sliced of chicken or beef, it’s grilled over a wood or charcoal fire. Satay is served with peanut sauce mix with soya bean sauce. It would be nice for breakfast and dinner menu. 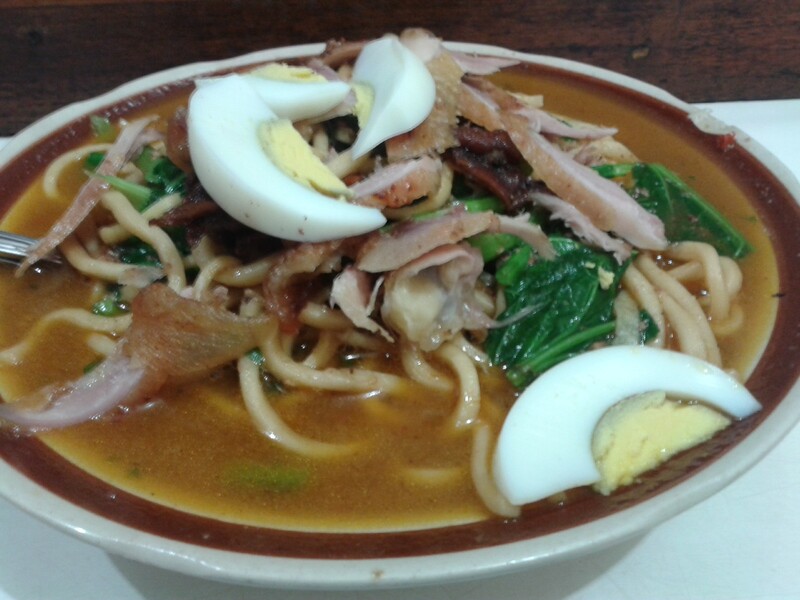 This noodles soup is completed with a slices of chicken, boiled egg. 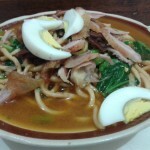 The typical of Javanese noodles soup is a bean sprout in it. It would be nice for breakfast and dinner menu. Usually available at the food stall. And still many others traditional menus from Surabaya. 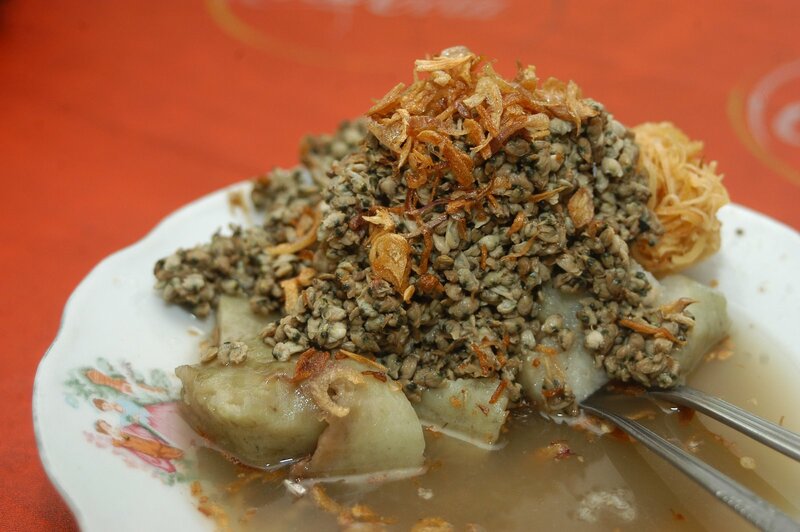 In this ppackage, you will be accompany by our guide to taste a traditional food in a food stalls in Surabaya.